So First thing is first, outfits. Depending on where you are going your holiday wardrobe changes a lot, but I’ve found that for beach holidays outfit’s are generally the same vibe and that’s what I’m packing for. The first thing to do is get out your hero pieces, the things that you’ll wear again and again on holiday. I’ve gone for a kimono I know will go with 90% of my wardrobe, my favourite ever swimsuit & a new mint Bikini. 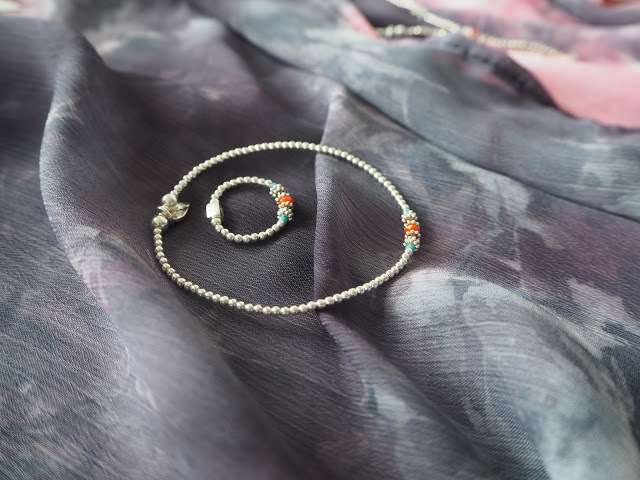 For me jewellery can either take centre stage or be a subtle add on to your outfit. I love mixing colour and adding a little hint of orange to this blush kimono makes both colours pop. I always find it’s a good idea to think about your make up when planning outfits, you’re probably not going to be wearing a full face in 30 degree heat but I find a little goes a long way, especially on the beach, and who ever said you can’t match your lippy to your jewellery?! I’d wear this to the beach over a swim with just a couple of anklets & the necklace for a laid back boho look but I’d also layer a slip dress over the bralet with the earrings & stack come of those bracelet’s to add a little more detail to the outfit. I have always been a firm believer in wearing jewellery with your swimsuit, it makes it look a little more refined, and like you’ve put a little more thought in. This swim is a little busy but I think that it actually makes the jewellery stand out more, a bit of calm against a print. The necklace, bracelet and ring are all made of Japanese glass and come in a few different colours, personally the turquoise is my favourite as it stands out well against most patterns/colours, I love that they come in a full set too! Perfect outfit for sunning yourself on the sand with the waves lapping at your toes. 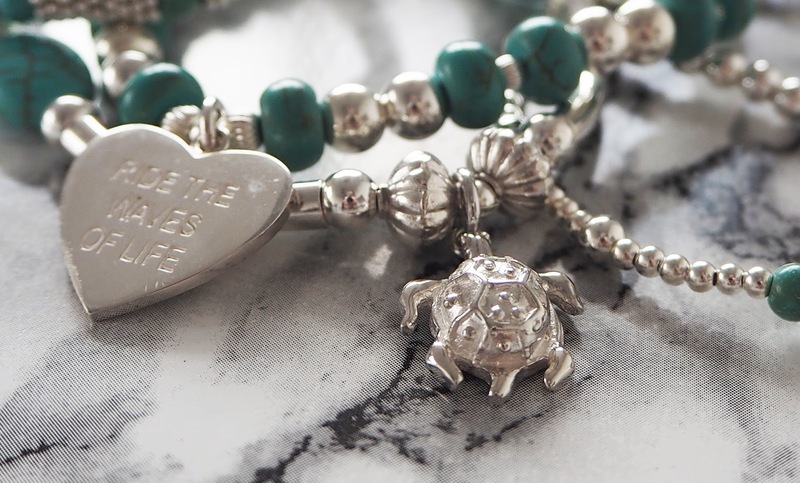 What is the perfect summer accessory, stacked bracelets! These little babies can be worn with anything and they instantly add a bit of playfulness to your outfit, think 90’s friendship bracelets but so much cooler. This stack has to be my favourite at the moment, it has everything you could ask for, mixed sizes of stones, colour, weight and a turtle charm! What more could you want? 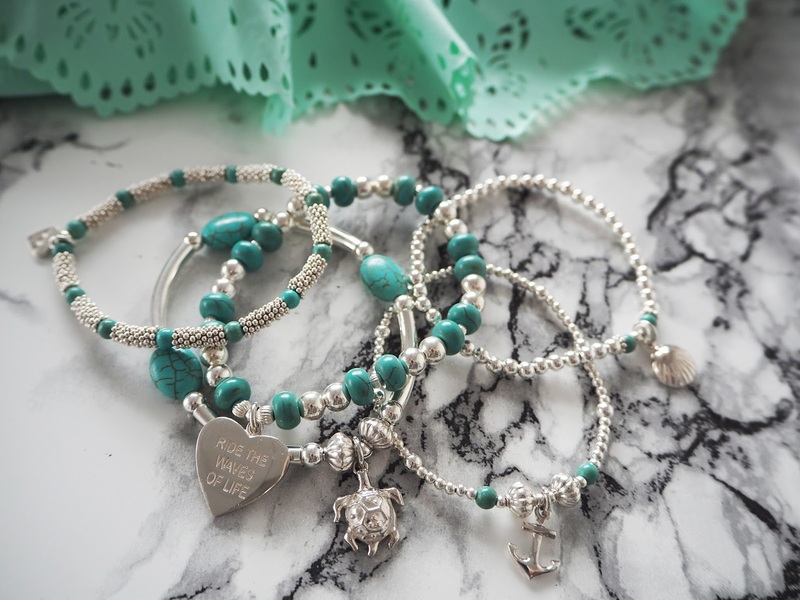 You can wear these little beauties on their own or all together for a bigger statement. 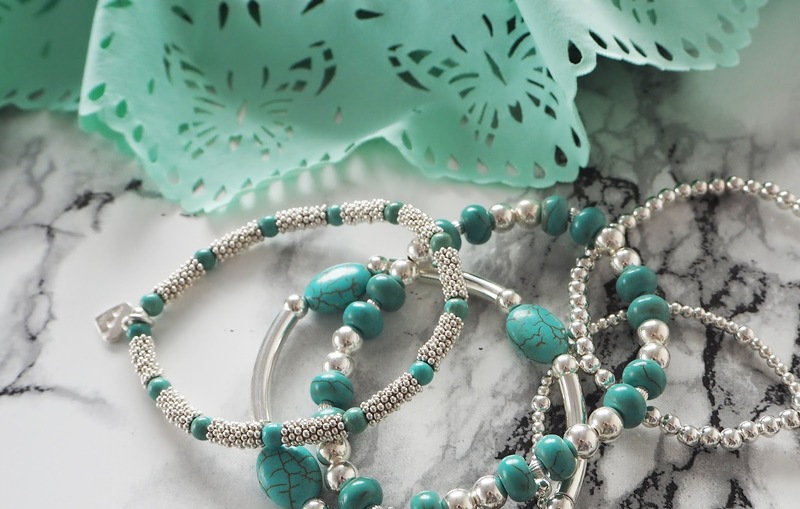 They look perfect matched back with a mint bikini but would look equally as stunning with a white dress & some statement earrings. 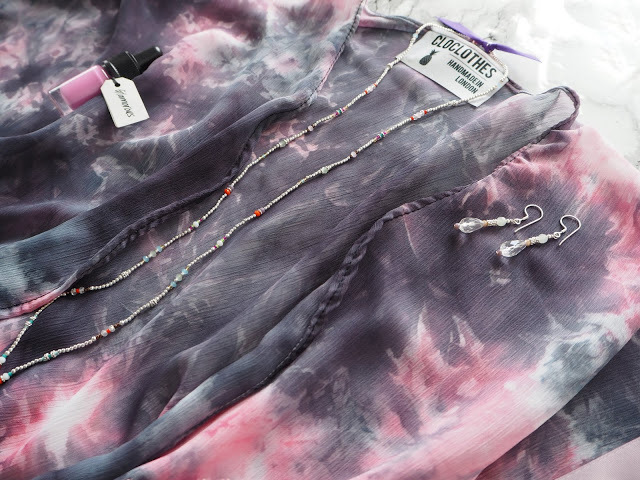 You might have the outfit planning down but packing is a whole different ball game. 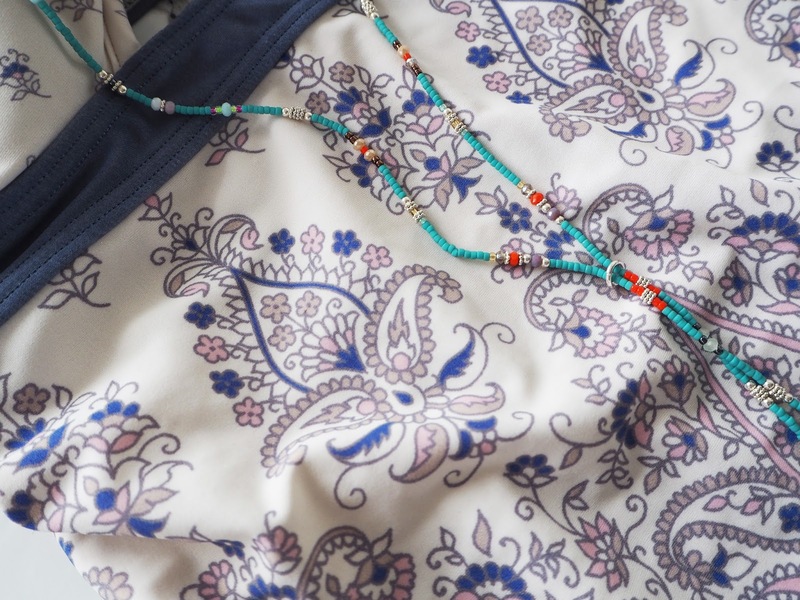 Tangled jewellery is one of my pet hates and no one wants to be untangling necklaces when they could be at the pool! Luckily Annie Haak has the perfect solution! 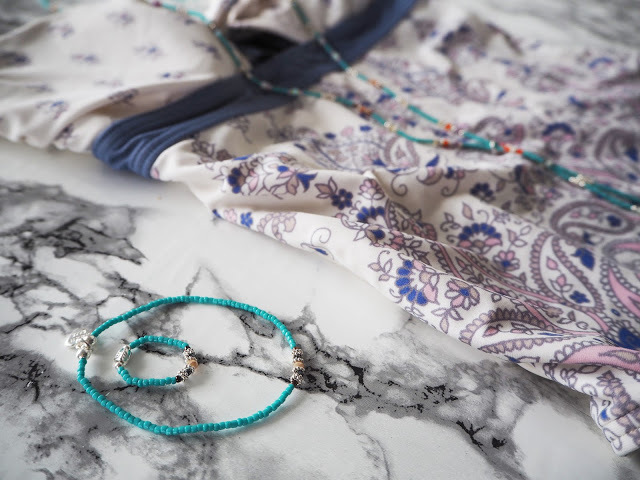 All of Annie’s jewellery comes perfectly presented in a little tie bag, packaged inside a box filled with tissue, and what better to use to pack your jewellery?! The larger bags are perfect for storing necklaces & can fit around three in but if your scared of tangling use the bag for a jewellery set or pop one necklace in the bag & wrap the other in tissue to go with it in the box. 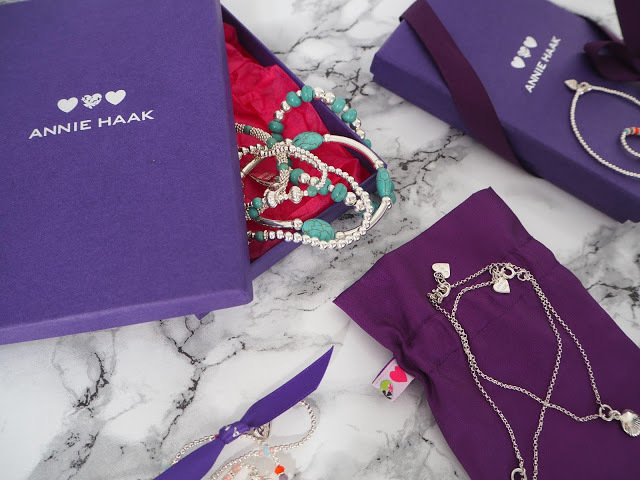 The boxes are deceptively big, one will fit all the jewellery from this post easily if you need to be conservative with space. Remember to keep the ribbon tie to hold your box closed, especially if it’s going into your hand luggage. Happy packing!